Florida gubernatorial Democratic candidate Mayor Andrew Gillum gives his concession speech alongside his wife First Lady R. Jai Gillum, running mate Chris King and his wife Kristen King on the campus Florida A&M University in Tallahassee, Florida on Tuesday, November 6, 2018. Photo credit: © Octavio Jones/Tampa Bay Times via ZUMA Wire. Election Day has come and gone, but the midterms are not over — especially not for election transparency advocates who hope that recounts can shed light on irregularities, inconsistencies, and vulnerabilities in US elections. Which is why many of these activists are upset that Democrats conceded key races too quickly, and in the case of Florida’s gubernatorial contest, prematurely. In the Sunshine State, Democrat Andrew Gillum conceded the gubernatorial contest against Republican Ron DeSantis. Now, however, with more outstanding ballots being counted, the race is headed for a recount. Voting technology activist Jonathan Simon said he and his colleagues fully appreciate that the sore-loser label can cause trouble for politicians weighing their future in public life. Simon is co-founder and executive director of Election Defense, a nonprofit founded in 2006 to restore observable vote counting and electoral integrity as the foundation of American democracy. He is also the author of CODE RED: Computerized Elections and the War on American Democracy. And, as WhoWhatWhy reported, in the case of Florida there were serious concerns about the vulnerability to hacking of cellular modems in voting machines. The cellular modems transmit the voting results to a centralized computer at the election department so that the results can be confirmed as official. 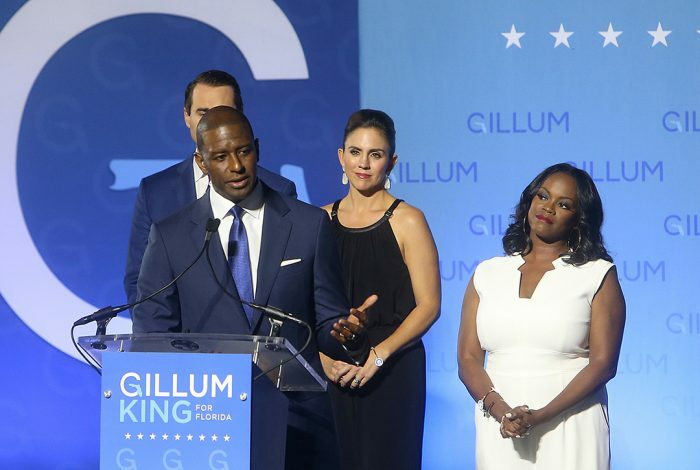 “Given the razor-thin margin, given the past history of elections in Florida, given that he is a black candidate with a huge target on his back, given the reports of voter intimidation and suppression, Gillum’s quick concession makes little sense,” Simon added. He also noted that election transparency advocates had fought hard to get Florida to take steps to lay the groundwork for an accurate audit. As WhoWhatWhy reported, AUDIT-USA pressured Florida’s secretary of state to issue a directive to election officials across the state to preserve the ballot images needed for election verification. Despite a legal requirement to store that data for 22 months, many local jurisdictions in the past have failed to comply. Simon argues that Gillum took the rug out from under the feet of election integrity leaders like them when he conceded the election this past Tuesday. Gillum’s spokeswoman told the Tallahassee Democrat that the campaign acted with the best information available election night about the number of uncounted ballots. In Florida, both the Senate race and the gubernatorial race are now within recount territory. Current Gov. Rick Scott (R), who is term-limited and therefore running for the Senate, is up by only 0.2 percent in his bid to unseat incumbent Democrat Bill Nelson. By law, a manual recount must be ordered in that race if the margin between contenders is .25 percent or less. Nelson has not conceded. In the gubernatorial race, DeSantis is up by only 0.4 percent, a margin that would trigger a machine recount. Prior to a manual recount, unofficial returns by Florida counties must be sent to the Florida Division of Election by noon Saturday. In a machine recount — which is ordered by law when the margin is at or below 0.5 percent — unofficial returns would be due at 3:00 PM on Thursday, November 15. John Brakey, director of AUDIT-USA, agrees that Gillum conceded too quickly. Simon praised Nelson and Georgia gubernatorial candidate Stacey Abrams (D), who has also not conceded her race against Secretary of State Brian Kemp (R) in an election marred by voter suppression and Election Day difficulties — all of which WhoWhatWhy has covered extensively. “We applaud [them] for not taking the easy way,” Simon said. Related front page panorama photo credit: Adapted by WhoWhatWhy from Andrew Gillum (Colin Hackley / Wikimedia), Al Gore (FEMA / Wikimedia), John Kerry (Curlydog / Wikimedia – CC BY-SA 4.0), and Hillary Clinton (Voice of America / Wikimedia).